Panaya Success Center How to edit my profile? 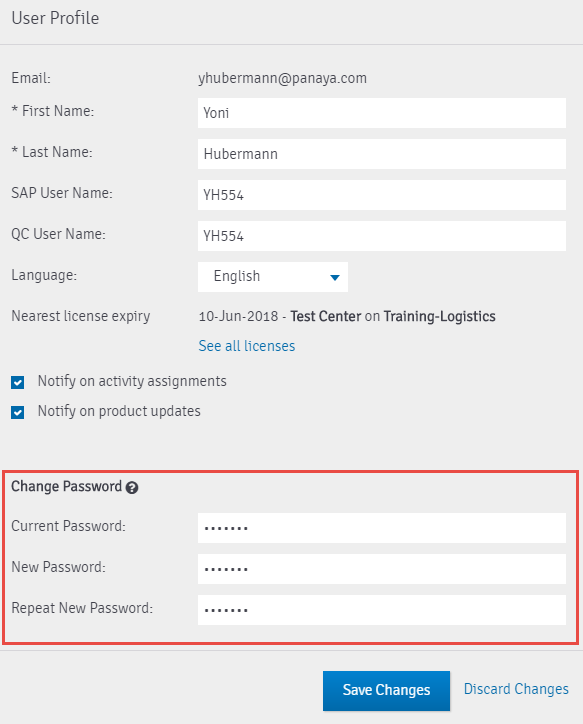 Under your own User Profile you can change your displayed First and Last name, your SAP or QC Username as well as the interface language of Panaya. This is also where you can change your password and configure your email preferences. You can modify your First Name, Last Name and SAP User Name, QC User Name, email preferences and Language. Select Save Changes or Discard Changes.